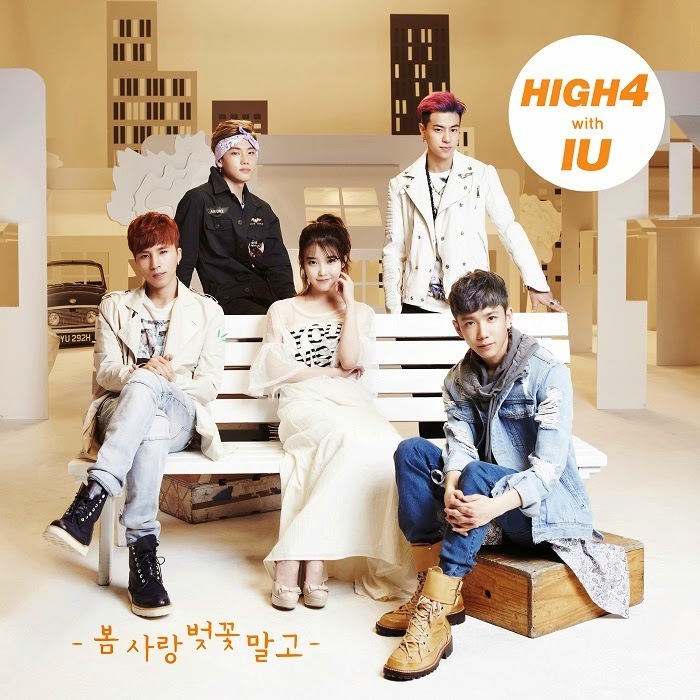 A collaborative group 'HIGH4 with IU' released its song 'Not Spring, Love, or Cherry Blossoms'. 'Not Spring, Love, or Cherry Blossoms' released on April 8 is a sweet song about a loneliness in Spring. The new Kpop boy group HIGH4 is comprised of Kim Sung Goo, Baek Myung Hwan, Alex and Lim Young Joon, while all the members are able to compose and write their own songs. IU is maintaining a close relationship with Kim Sung Goo since her trainee period, and readily agreed to be featured as a singer in the song. She also wrote the lyrics of 'Not Spring, Love, or Cherry Blossoms', while Kim Sung Goo is on familiar terms with MBLAQ's Cheondung and Fiestar's Hyemi too.